A transcript of Professor Miranda Stewart’s presentation to the 124th Annual Henry George Commemorative Dinner. Listen as you flick through the powerpoint, then reiterate with the transcript. The Q & A is included in the audio only. Read about the EJ Craigie Award winner, Matt Ellis. Thank you very much for coming out on this rainy night. It’s a great pleasure and honour to be invited to give this lecture, especially, as Catherine explained to me and I then went on the website and looked, that it is the 124th Annual Dinner. I’m very impressed at any society that can maintain its continuity enough to have a dinner every year. I think that’s really an essential part of intellectual life, so that’s fantastic. She also tells me, although I didn’t go back to the list so I’m assuming it’s right, that I’m one of the first women speaking in that 124 years. So I am extremely honoured and delighted and I would urge you to have another one soon. Anyway, bear that in mind. As we’re speaking mostly about tax and a little bit about land, it does seem appropriate to acknowledge the people on whose land we gather tonight, the Wurundjeri people of the Kulin nation and to pay my respects to their elders past and present. Last week I spoke to an audience of tax specialists about tax reform. Not only that, they were Queensland tax specialists. This week it’s even more daunting as I speak to an audience of tax enthusiasts. Tax specialists are not tax enthusiasts, as you can imagine, sort of the reverse. So I number myself as a tax enthusiast, although I suspect that we’re not all equally enthusiastic about all taxes. I should say just a little bit about where I have come from. I’ve been an academic for many years. I have previously worked in private practice advising large corporations including mining companies and also in the Australian Government working on business tax policy and legislation. At the moment I am the Director of a fairly new research policy institute at the Crawford School at ANU called The Tax & Transfer Policy Institute. In this role, I’ve been thinking quite a lot about the system as a whole, if you like, trying to think systemically. Land tax is an important part of that system, but it’s certainly not the only part. So I have to confess, I’m figuring you have heard everything there is to hear about land tax and I’m actually going to talk about some other things and put land tax in that context. But I’m also very happy to answer questions or have some discussion about that as well. I was invited, and very honoured to be so, to the National Reform Summit that was held last week in Sydney. Some of you may have heard about it and, look, it was a good day, but not much was reformed. I came away from it with the same perception I have about sports interviews, which I shamelessly take from a cartoon whose name escapes me, which is that, “Well, we sportsed very well out there that time, but unfortunately we didn’t sports well enough. The other team sportsed better. So we’re going to go away and regroup and do some training and we’ll come back and sports better next week”. That was how I felt about the National Reform Summit, and that might be how you feel about all these reviews and processes that have been going on for the last 15 to 20 years, certainly the last decade. We’ve been reforming very hard. We haven’t reformed hard enough. If we go away and regroup we might reform better next week. The next morning I listened to 3SER Community Radio in Sydney, which is a young people’s community radio, and they had their morning breakfast show where they talked about “What happened yesterday? Well, it was the National Reform Summit”, and they said, “Yeah, so a whole lot of important people got together to talk about reform. They thought there were a lot of things that needed reforming” – and that’s where they stopped really. And I thought, again, that was symptomatic of the situation that we find ourselves in, that we don’t know what reform means. Certainly the idea that there is some consensus that might drive reform I think is very unlikely and there are a lot of vested interests. I find all that rather depressing, so in order to solve that problem I’m going to go back 250 years and stop thinking about reform in that really immediate way. I want to take a longer view and a more systemic view and talk about two things. The first is a concept of the “tax state”, which is an economic sociological concept in public finance. The second is a “systems approach” to understanding our tax system. I take the “systems” approach from Brian Walker who wrote about sociological, ecological systems about a decade ago as a scientist, in particular, the concept of “system resilience”. So I came to this word “resilience” and was very attracted to it, it was the zeitgeist really after the global financial crisis. There was a lot of talk about “resilience” of the financial system globally, including housing market crashes and the resilience of housing markets. So it’s used in that context, but I think it’s also a useful word for us to think about our tax and welfare systems or our tax and government system more broadly. It seems appropriate to cast both back and forward. Another important fact about this year, there’s lots of things obviously to be celebrated, 124 years of Henry George. This year is the centenary of Australia’s federal income tax. It was introduced in 1915 by Prime Minister Billy Hughes and passed with bipartisan support. It’s interesting to talk about the income tax because it is by far our most important tax from a revenue perspective and probably in terms of how it affects people’s lives. I hope in this discussion I will come back to a couple of specific issues that are on the table at the moment, one of which is land tax and I want to take that longer view. So what is tax for, the big picture question? I’ve written recently about the fiscal state and the concepts of benefit and legitimacy of government. Adam Smith, writing 250 years ago, asked why do we have taxes at all? Collectively, we give authority to government to levy taxation. Now, of course, in his day it wasn’t democratic and democracy is also a theme I want to emphasise. Adam Smith is well-known as the father of economics. He had a strong view about land tax and house rents – he certainly thought land should be taxed although not, I think, in quite the same way as Henry George. Adam Smith’s work is prolific and we have it all written down so it’s all there to think about. The other thing that distinguishes his work is that he argued that government should be funded by taxation. Taxation is a particular way of accumulating resources for government. It’s different from just owning the land, the domain owned by the sovereign. Adam Smith said that the domain could no longer fund the great nations. He also considered seignorage (currency) and he considered borrowing – of course, these are all sources of money for governments, but none of them are adequate for what he saw government should do. I’m very struck by that in his work. Adam Smith referred to the ideal of a civilised state, a great and civilised state, although of course pre-democratic and there’s a lot of inequality and it’s a different social environment altogether. He had a vision for funding government that was ahead of his time and it was linked to his vision of a market economy, which would be viable in the longer term. So to me these two things are inextricably linked. Economic historians have statistically traced the development of the British tax state and other governments, mostly Europe of course but also Japan, for example, in the 19th century. And there’s this question, what makes a successful tax state? Well, you need effective and centralised revenues in order to fund government, adequate revenues that are under control which is clear and defined. That had happened in Britain before Adam Smith wrote. During the 18th century, through indirect taxes and tariffs, the British government consolidated its fiscal power. Of course, it was not a tax state the way governments are today. So Adam Smith came to his view about taxation in the context of a government that had actually successfully consolidated some forms of revenue. We can see the interaction between the economic and political realities of the time and the development of his ideas. These two views, about the free market and the importance of tax to fund government, were interrelated. I would argue that, 250 years later, we are still operating within that paradigm of the tax state. That tax state has become democratic in the process. It’s an interesting question to us as to whether, and how, times are changing and what that might mean for our ideas about government more broadly. 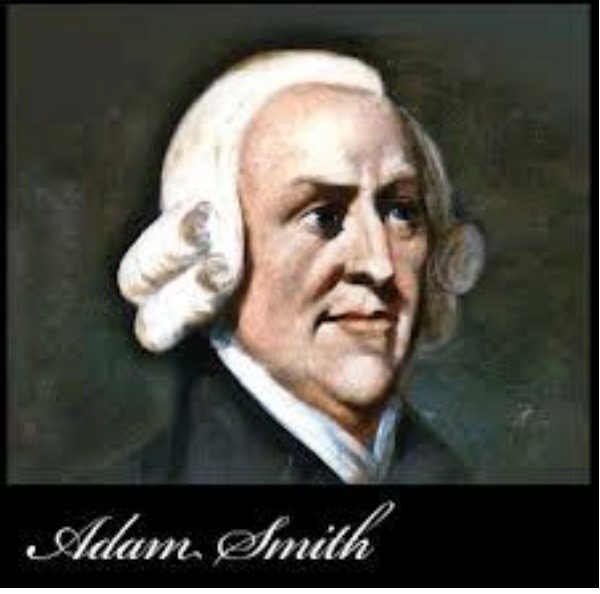 It’s not surprising that Adam Smith spent quite a bit of time on principles of taxation because he saw taxation as having this central role, so therefore you had to have principles on which it would be successfully implemented. So you can see, I could talk about that for a long time but I should move on. Let’s leap to Australia one hundred years later. For us to pay taxes to government, in the end there has to be some negotiated fiscal bargain. Nowadays we call it democracy, but of course that democracy is quite a complex beast. Government must be legitimate. 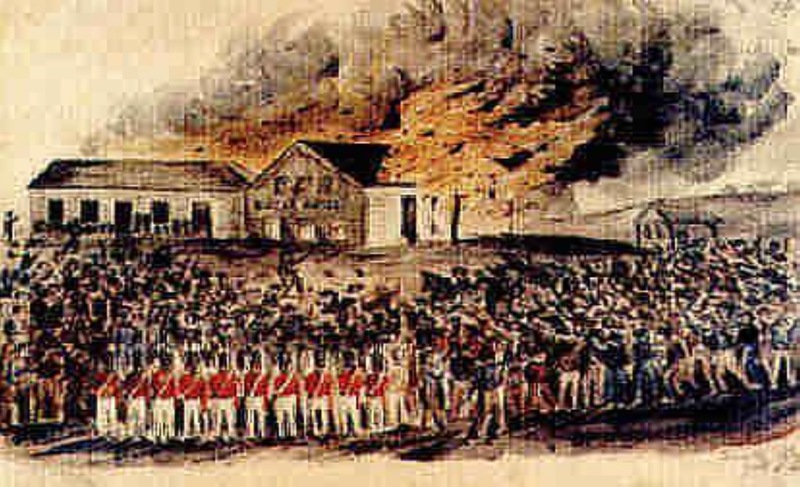 The Eureka Stockade Rebellion was in 1854 in Victoria. These ideas about tax and politics circulated widely. 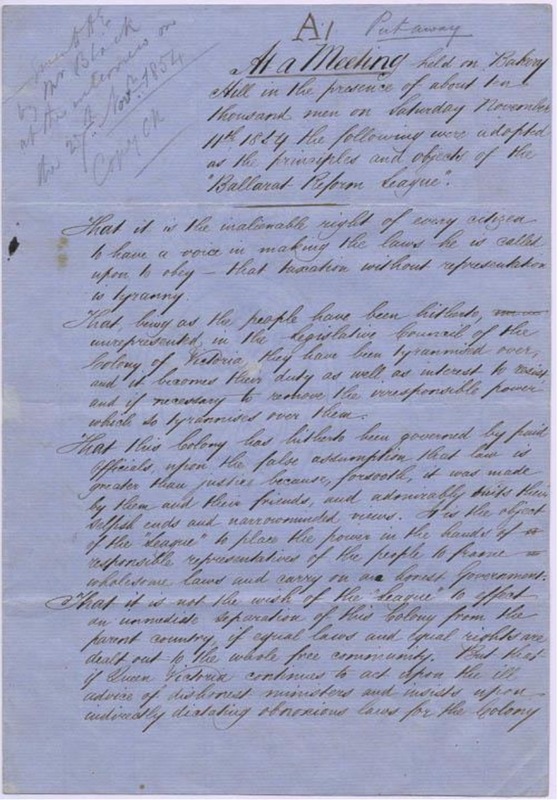 The statement that the Eureka rebels put to the mining inspectors about the licence fees they had to pay had in its first paragraph a statement “that every citizen should have a voice in the law, that taxation without representation is tyranny”. So we have that long connection between tax and representation. It’s not just in America that the people talked that way. Those ideas came to Australia very early on, just as the ideas of Henry George came towards the end of the 19th century. Tax came to be the core funding of government. Capital markets also evolved together with governments. Britain and many other countries funded themselves with both debt and taxes: a combination of taxpayers who were prepared to pay, and governments paying down long term government debt. That evolved in Britain in the 19th century. In the Germanic states, developing at the same time, the government owned a lot of the means of production such as monopolies in railways, postal services, water, sewerage and so on. Governments made money that way combined with taxation and delivered the first welfare states. So we had the development of tax and welfare and we had, at the same time, a development of ideas through the 19th century about what is tax paying for? First, Adam Smith had come up with an idea of public goods. It can probably be traced further back, but the benefit of government, this idea that there are public goods advantageous to a great society, was important. He included primary education, that government should pay for primary education as a public good of such a nature that no individual is going to invest in it. 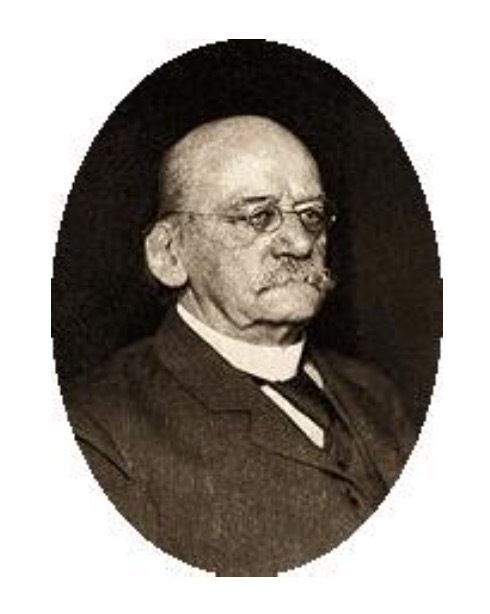 Second, by the end of the 19th century, the rather curmudgeonly German economics, Adolf Wagner, argued with many others, that taxation is a regulating factor in the distribution of income and wealth. And, of course, at this time Henry George is arguing that land taxation is by far the most efficient way to alleviate poverty in the context of capital markets. So this social welfare idea of taxation is embedded and I think that we’re still operating in that paradigm. A lot happened in 1915. Of course, you know there was a war on and we’ve celebrated, if that’s the right word, 100 years of ANZAC Day this year. I would prefer to celebrate 100 years of the income tax. Both have had long lasting impacts but, I have to say, I think the income tax has had a more positive impact than World War I. At the same time as World War I, Joseph Schumpeter, a public economist articulated the idea of the “tax state”: that is, the government that is developed and funded dependent on taxation. In 1917, writing in Europe, in Austria, Schumpeter was worried about whether governments were going to be viable in future and in particular whether taxes were going to sustain them. He foresaw a fiscal crisis of the tax state and you may see some resonance with the current world, although I think it is a very different context. What worried Schumpeter about the tax state was that he didn’t think it would sustain social expenditure. It wasn’t war or debt that he was worried about, it was funding what the people wanted the money to be spent on: the social welfare state. As it turns out, through the 20th century that was fine in many respects.Australia did take these ideas and enact taxes in the Federation after 1901. First, the Federal government took over the Customs & Excise and the tariffs at the central government level. It very soon introduced a Federal land tax, as you know. The historian Dr Julie Smith in her book Taxing Popularity summarises these events quite nicely. The Federal land tax of 1910 was introduced with steeply progressive rates, partly to raise revenue for the age pension. The idea of a national age pension had actually driven popular support for Federation. Which didn’t happen really until decades later in fact, but they started. And also, as you know, the Federal land tax broke up large estates because of its steeply progressive rates. Before I get to the income tax, another interesting thing to say at this point about the land tax is that there were lots of High Court challenges. Some of you may know that, there were lots of challenges to the tax. It was very unpopular among the squattocracy because it did hit them quite hard and did force the breakup of those estates I think. But it’s also the vehicle of one of the most important cases about parliamentary supremacy that the High Court has ruled on, that’s the Osborne Case from 1911. In Osborne, the High Court said that we don’t care how oppressive or steep this tax is, it could have a 100 per cent rate, that’s not for us to decide, it’s for the Parliament to decide. It doesn’t make it unconstitutional that the tax might have that very heavy impost, perhaps even to the extent of confiscation. It’s important to remember, when we’re thinking about trying to reform this tax system or fix these taxes, that the tax system is part of a broader system of democratic government. If we can’t reform the system because politics gets in the way, we’re forgetting that politics is part of the point. Politics is actually why we have taxes, it’s connected to why we have taxes in the first place. I think if we keep banging our head against politics we’re going about it the wrong way. We wouldn’t want politics to disappear. You might think we want politics to disappear, but I’m not quite ready for authoritarianism yet, so we do have to remember that and that’s one reason why I like the Osborne case. 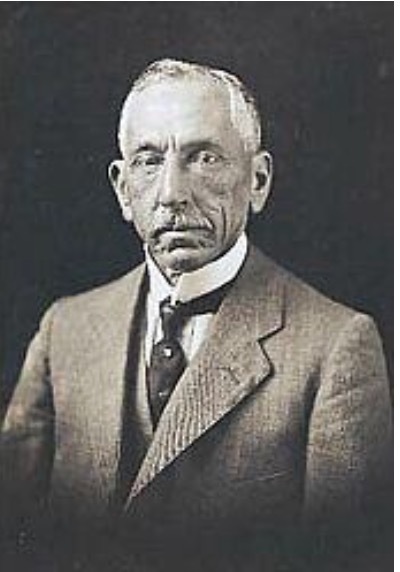 Prime Minister Billy Hughes introduced the federal income tax with bipartisan support. It was described by a leading economist in Europe at the time (Sir Josiah Stamp), in a somewhat ambiguous remark I think, as “A courageous effort by the Australian Legislature”, which may make you wonder. I’d like to read you a little bit from Prime Minister Hughes’ speech – it’s all available in Hansard – the second reading speech for this tax. To me it sounds like it could be repeated today and I was very struck when I first found it. The income tax was introduced as a war tax and, as I say, there was essentially bipartisan support to raise funds to pay for the Federal Government deficit. For some reason they all wanted to go to war next to Britain. Prime Minister Hughes is also famous for trying to introduce conscription and we’re glad he didn’t succeed in that. He also introduced proportional voting, so a long heritage there. “The Commonwealth has hitherto not resorted to taxation of income [the states, the former colonies had income taxes and land taxes] but I have always regarded this form of direct taxation as particularly, peculiarly appropriate to the circumstances of a moderate community. Not only as an effective means for raising money for the conduct of government, but serving as an instrument of social reform”. Can’t you hear Treasurer Joe Hockey or perhaps the Secretary of the Treasury making this statement? I won’t go into how they taxed companies in 1915; they had a pretty complicated system to try to encourage enterprise. 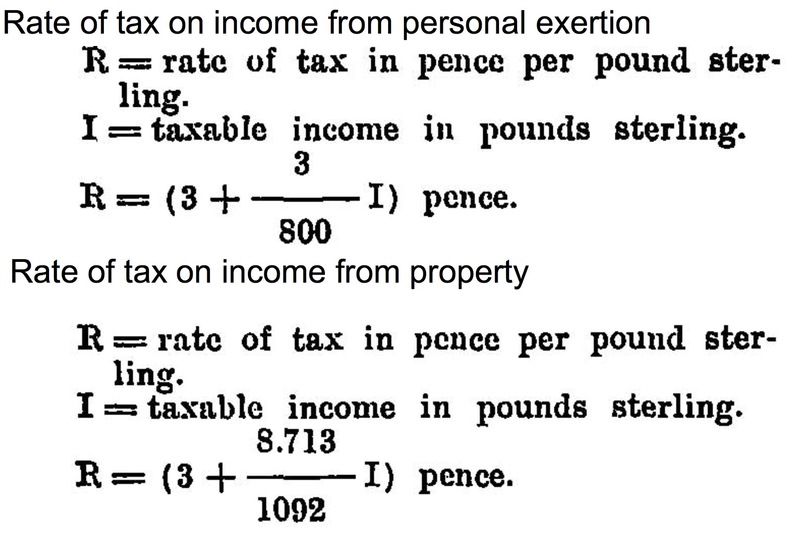 Prime Minister Hughes wanted to introduce this income tax, he saw it had positives. He also did see, as we know, that it imposes a burden on labour and on capital and that those things were important for the country. And that was debated in the parliament quite a bit, but everybody passed it because we were at war. The other thing that I can’t resist telling you, although it’s a bit of a distraction, you may know that the tax rate structure in the first income tax wasn’t a stepped rate structure, it was a curve and it was understood by nobody except the Australian Statistician, Mr Knibbs. It had two different rates, one was on earnings and one was on property. Investment income was taxed more highly, which is a bit bizarre considering what Billy Hughes just said. “Oh, it’s simple enough, but I can hold out no hopes of such simplicity with respect to taxing income from property. There is a difficulty in the formula which I am unable to express other than in the terms of the higher mathematics. I am credibly informed it has something to do with the perturbations in the curve”. Anyway, we didn’t stick with this curved rate structure, although it was arguably the most progressive tax we’ve ever had and perhaps the thing that was described as courageous. We dropped it pretty quickly, in fact. The federal income tax funded the beginnings of the welfare state. By the 1950s, just to leap forward because I can and should, this welfare state is well-established. 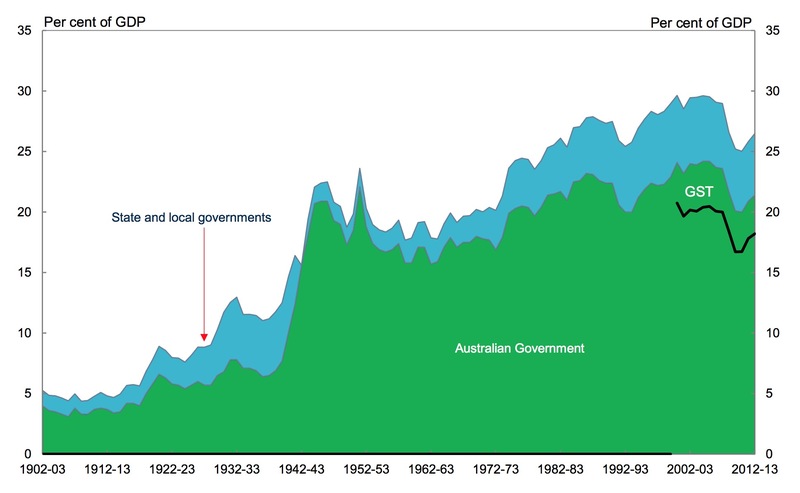 You can see this trajectory in this chart from the Australian Treasury of the last hundred years of tax in Australia from 1902 to 2013. Of course, you can see how small the state was originally. Then you can see the expansion after World War II, so ’42 to the ‘50s. And when Treasurer Joe Hockey says we have a tax system that looks like the 1950s, I have to wonder whether that’s a good thing or a bad thing. In the 1950s, you can see the level of taxation we got to, taxes increased even more. In fact, they reached their peak under Prime Minister John Howard, when revenues were pouring in regardless of what we did. You’ll see that tax and spending reached a peak and then crashed at the financial crisis in 2009, and are now on the way up again, but not as much as before. Unfortunately, I don’t have the land tax proportion here, but it’s very small. So we do have to realise that the bulk of these revenues that have funded government since the beginning of the century have come from other taxes. That’s the reality of our political democracy and why is that? It’s something about income tax I suggest and the relationship between that and parliamentary voting. It would appear we were very successful. We built up a social welfare state, we built up public education and health expenditures. Now, many people may wish to see a decline in the size of the state, but this trajectory is visible across all developed countries globally really and in some countries the tax level is much higher. There is a real question as to where you would end up if you do change this dynamic. 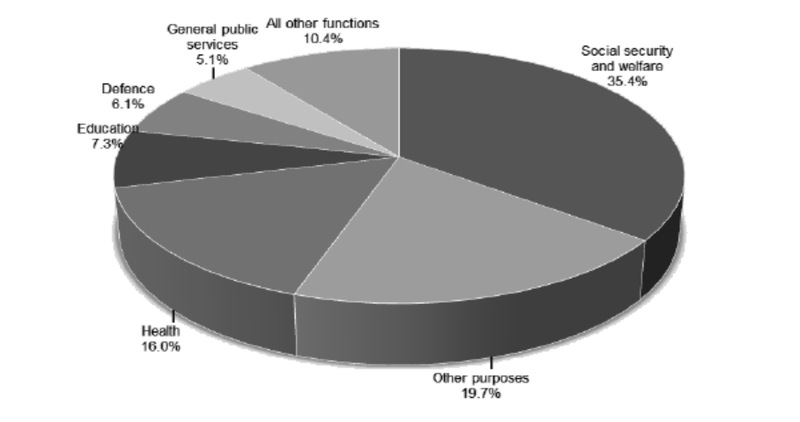 Commonwealth spending and the Budget now is about one third social security and welfare (the transfer system); one third health and education; and what’s called “other purposes” down here is the grants to the states, which really basically funds health and education. This is the big picture of what we’re spending taxes on. In spite of this massive increase in the size of government, we still don’t like paying tax. We still have this extremely difficult politics and also this celebration in Australia of the rebel who avoids and resents and even steals from the state. We celebrate that person in our culture here at the same time as we celebrate the welfare system or the other things that Australia maybe has to offer. We can think about the tax system as a system that connects across the economy or connects government to individuals and businesses or causes relationships between individuals. The classic tax policy principles are equity, efficiency, simplicity. I want to focus on a broader idea of resilience and what resilience thinking might mean, so I’m mostly going to talk about efficiency and resilience here. Of course, most of you are familiar with tax efficiency and the conclusion that land tax is the most efficient because it doesn’t affect supply. This is the basic model that economists use about efficiency of a tax. You impose a tax on a good (this is your pre-tax world); in the post-tax world, the supply goes down and the price goes up. Some of the tax goes to government, that’s the wedge. So taxes impose a wedge between demand and supply. Vendors get less, buyers pay more, the difference is the tax, and that triangle in the middle is what is called the deadweight loss because the quantity produced overall declines. There are a lot of assumptions in the basic economic model of taxation, although there’s nothing wrong with the model per se. The reason why we say land is different, is that the supply does not go down. The supply of land is still there even if we levy a tax on it, and so we should be able to push the price down and deal with some of our affordability and other efficiency problems and capture that rent. One of the key elements of economic thinking is that it always aims to optimise supply in the market: to come to the single most efficient method for doing something, the optimal allocation of resources. I want now to take us to a different way of thinking about systems which comes out of this ecological, sociological context and that is this idea of resilience (from Brian Walker see here). The idea of systems bouncing back is a pretty common understanding. Systems theory suggests that resilience is about the capacity of a system to recover its equilibrium. In the ecological context, systems resilience is used to talk about ecosystems that are pushed over a threshold and can never recover their previous state. Salinity in the soil is an example, you get to a certain threshold with salinity in the soil, it gets to within 2 metres of the surface, and then you’ve changed the ecosystem and there’s no return. So this idea of being able to recover, or, alternatively, is there a new equilibrium that we transition to? Systems theorists use the metaphor of a ball in the bowl; that the world changes, there are shocks and crises and so on, but unless you hit that threshold you’ll bounce back, the system will more or less stay the same. It won’t stay the same, but it will recover to its equilibrium. I actually think our tax and welfare system has been like that for some decades. We’ve had a lot of change in that system since the 1950s in different ways, we’ve had globalisation of the economy, we’ve had massive migration and massive housing construction and all that. Nonetheless, the tax system has been recovering to this stable state. The question is whether we can continue to do that. I do think that there are good arguments for saying that our current tax system may be less resilient than before, especially regarding global mobile capital and the digital disruption that the Treasurer Joe Hockey is keen on discussing. These pressures may actually push at least some of the taxes in our system out of equilibrium; and the broader consensus, a reasonable political equilibrium on taxation, might be subject to a substantial shock. I’m interested in a stable tax system because I’m interested in a stable democratic government. Land tax does play a really important role and so we have to keep improving land tax in trying to build this more resilient system. More generally, if we think about tax system resilience, what might be some of the features we want our system to have? We want it to be resistant to planning, we want it to have low costs, we want it to be adaptable to various changes, and we want these to apply over a longer term time horizon. If you look over the last 100 years or longer, you can see that transition and equilibrium. The question is whether we can continue or maintain this state, whether that’s what the people want, or whether we move to some new stable state which is actually for the good of all of us, rather than to the detriment of many. 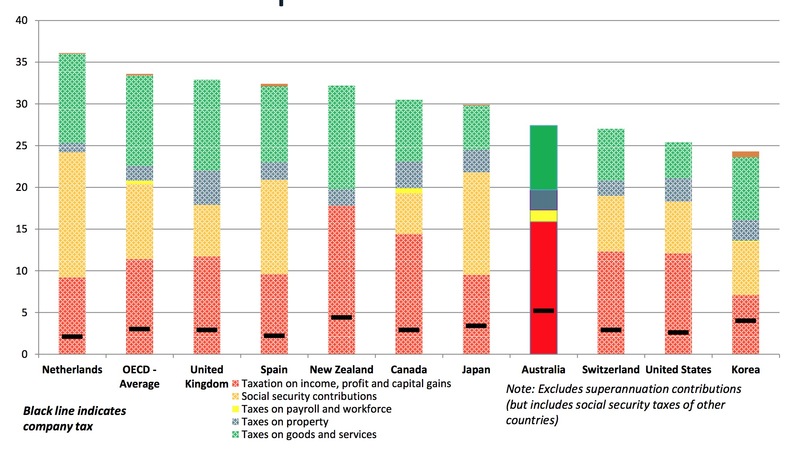 In this comparative table, Australia is the solid bar and this compares with a number of other pretty rich countries. Don’t forget, we’re one of the richest countries in the world still, just as Billy Hughes said, and we probably want to stay that way, right? This chart shows the overall tax level as a percentage of GDP for each country. For example, the Netherlands, UK, Spain, New Zealand, Canada and Japan, and the OECD average, are higher than Australia. So we have a substantial collection of tax but not massive. The colours show some of the different important taxes. When you think systemically, it is clear that the tax state, the government system that we have constructed over the last century (in all these different countries in different ways) relies most heavily on income tax and consumption taxes. You might be interested to know, Hughes did start off when he was a Labor organiser as a single tax Henry George advocate. When he became Prime Minister he did introduce land tax but he also introduced the income tax. The reality of politics would have changed that dynamic I think. What reforms might be needed? I want to say a couple of things about current reforms and then I’ll wrap up. First, is about the overall tax system. There seems to be a general sense that the government wants lower taxes. It might be that they just want lower tax rates in the personal income tax and that’s one thing that we could debate. However, I get the impression they want a lower tax level as a whole in the country or at least at central government level. I’m not convinced that’s a good thing for the country, not just because we have a fiscal deficit but because of what government does. We should debate it politically, but I’m not convinced that that’s the best thing for the country. In this current world of fiscal austerity and globalisation, what taxes are under threat and what ones could we build up in order to maintain our stability? I think it is pretty clear that in Australia we probably need to see how much we collect in corporate tax, for economic prosperity we do need to bring that down. Again, you come back to Billy Hughes talking about taxing maintaining enterprise and the economic equilibrium. Next, is to think about savings and assets. In our current system, we know that our income tax applies heavily to people’s wages – although not as heavily as many countries – but it also applies very unevenly to savings and investments. This chart from the Treasury Re:Think Discussion Paper (updating the Murray Financial Systems Inquiry (2014)). This shows the effective income tax rates on different forms of investment or saving. Effective tax rates on different forms of saving (32.5% marginal rate) (Re:Think 2015). Source: http://bettertax.gov.au/publications/discussion-paper/ . This is for a person on the 32.5% marginal rate. The bank account is taxed at their marginal rate. Their own home faces zero tax. Although we call it an income tax, we actually have a hybrid income/consumption tax that produces consumption or expenditure tax treatment of home ownership, so zero tax or what we call pre-paid expenditure tax. 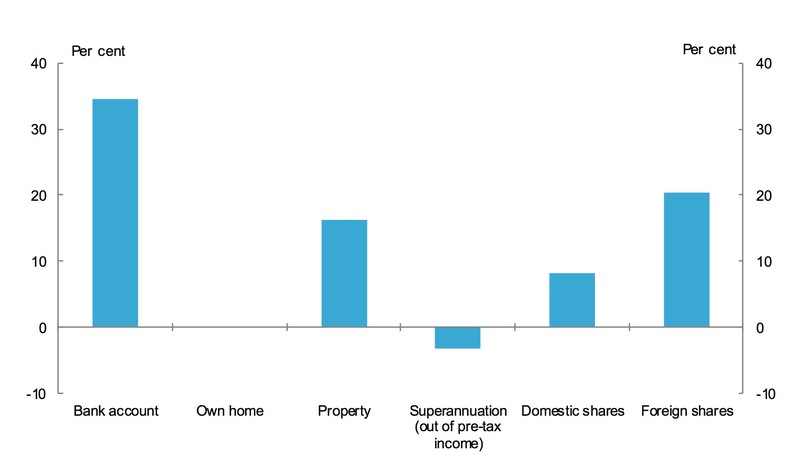 Other real estateis taxed but not as heavily because of the capital gains tax (CGT) discount. This doesn’t take account of negative gearing. Superannuation, overall is more generous even than a consumption tax treatment and that generosity goes to the top end. Australian and foreign shares are taxed differently at lower rates. One of the concerns for me about resilience and sustainability of our income tax is this unevenness. This has been in policy documents for a long time, but I think it’s pretty clear from the housing market studies done by Prosper Australia and others, that this uneven tax treatment is affecting our market returns. And associated with that, I do think that negative gearing is a problem. 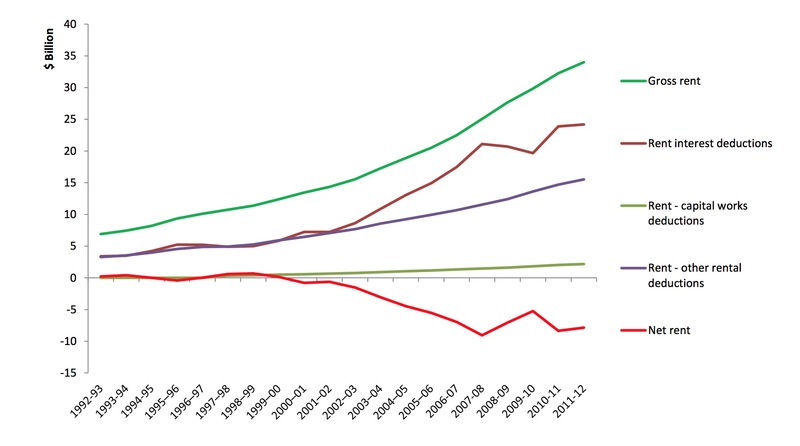 The ATO tax statistics show very large net rental losses (net rent is the red line, net of all deductible expenses). These large deductible losses in our income tax are undermining the wage tax base, are actually operating as a tax shelter. The moderate income earner, for example your hairdresser who is buying a rental investment property at the $300,000 end of the market, they’re not going to make a capital gain. They’re almost certainly making very little capital gain. So really what they’re doing is buying a tax shelter when they invest in rental real estate. What they’re doing therefore is just reducing their marginal tax rate on their personal income. Now that may or may not be a good thing, but not everybody gets a chance to do that and I do think it causes problems in the housing market. So one thing that I think we need to keep working on is this coherent treatment of taxation of savings. Finally, on the topic of land tax. In our State tax base, we have local government taxes, stamp duties and land tax (among others). Professor John Freebairn and I have recently done a report that reiterates the economic arguments for doing a switch between land tax and stamp duty, pushing that land tax share of the burden up and taking it off transactions and appreciated property values. Australia has a relatively low reliance on property taxes overall in our whole tax mix, lower than we should when compared to other countries and we could improve that. So let me wrap up by going right back to the beginning. What I want to argue is to support arguments for capturing economic rents in taxation through land tax, but to remind you that the land tax is part of much broader political and economic tax system. There’s a lot going on in this system. We have constructed a government that is funded by taxes, mostly income and consumption taxes. We’ve also constructed, for all its flaws, not a bad country to live in I think. There is a real question about the resilience of that broader system going forward, so land tax is an important part of that. But I would urge you to think about putting the land tax and housing issues in that broader context and to acknowledge that those other taxes play that important role in funding public goods and services as well. 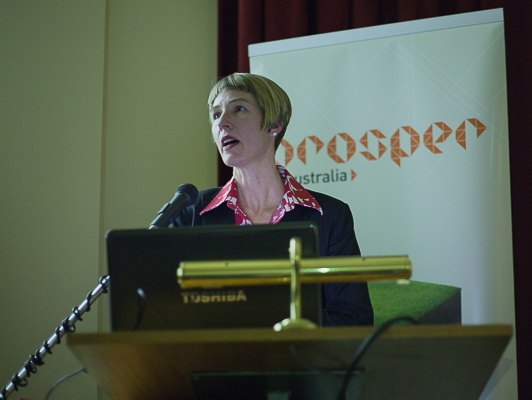 I look forward to another 150 years of the Prosper Australia society. Thank you.